Studying livestock behaviour, stress and other well-being and production factors is the job of animal scientist Jeremy Marchant-Forde and his colleagues at the ARS Livestock Behaviour Research Unit in West Lafayette, Indiana. 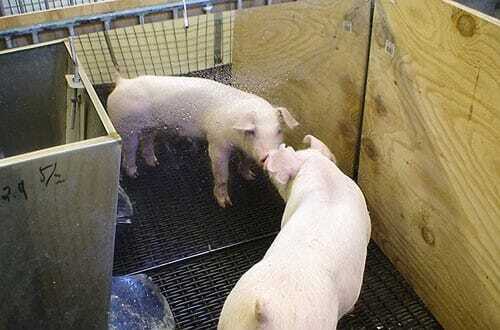 Dr Marchant-Forde investigates the use of mirrors and mats in improving the environment pigs are kept. This information could help in reducing stress, which in turn, enhances well-being, growth and efficiency, and decreases disease susceptibility.